Why is Scotsman able to pay so much for collections? Because of our talented staff’s diverse abilities. Please allow us to introduce ourselves. 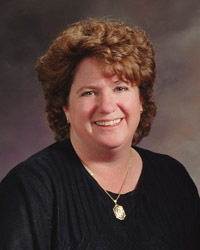 Julie graduated from The University of Missouri – Columbia with honors, majoring in business administration and management. With her lifelong background working with her father and brother in the collectibles industry, she has implemented her business and financial skills at Scotsman. She is primarily responsible for the financial planning and accounting functions at Scotsman with overall responsibility for the collection, disbursement and daily management of funds. Robert’s friendly, calm, charismatic personality has been paying dividends for Scotsman since his first month on the job, when he, at one point, was thrust in the position of single-handedly having to man the lot viewing booth for Scotsman’s 1904 World’s Fair auction. An unforeseen emergency forced Robert to have to work alone for one of the busiest half hours of lot viewing, and he performed amazingly! The company learned on that day that Robert could be put in just about any situation and meet or exceed customer’s expectations. Robert now deals with customers face-to-face on a daily basis, and he is a bona fide numismatist. Mary started working part-time for Scotsman when she was in high school. At the time, our Jewelry department was growing rapidly, so having an extra smiling face around the store on Saturday was greatly needed. Mary filled that role, but she turned out to be much more than just a smiling face. Before long, customers were coming by during the week asking for Mary. It got to the point to where we had to have a sign made that stated: "Mary only works on Saturdays." We are fortunate that Mary chose to work FULL TIME for Scotsman after graduating college. Her friendly attitude, ability to adapt, and awareness of style continues to make “heroes” out of men who visit us to do their jewelry shopping. Janice started working with her father and brother at Scotsman in 1980 and is credited with expanding Scotsman’s retail platform to include fine jewelry. She is an expert in the buying and selling of all types of precious stones and antique jewelry. With her years of experience, she will save you a great deal on your jewelry purchases. What’s more, through the years, Janice has worn a variety of hats at Scotsman and has become the go to person when unfamiliar situations arise and has trained many Scotsman associates. Nikki has been with the Scotsman family since 2005, and a friend for even longer. She graduated with a degree in education from Lindenwood University, but luckily for us, she decided to stay on as a key member of our jewelry department. While the majority of Mrs. Hendrick’s time is spent helping couples find their dream piece, it is not uncommon to see her appraising jewelry for sellers, or even pitching in on the coin side of our business. All of our customers love Nikki, and you will too. Denny began his career in jewelry design and repair as an apprentice in 1986. Today, he is considered one the best Master Craftsmen in Missouri. His meticulous attention to details, efficient work habit, and artistic abilities results in the highest quality of work “done fast and done right.” It is common for Denny to work late completing jobs for his customers, which he doesn’t mind doing because he understands that each and every piece of jewelry he works on is special to someone. Since graduating from the Missouri Auction School, Mark has quickly risen to become one of the industry's favorites, just as many predicted. His extemporaneous style entertains, informs, and delights the bidding audience; thereby creating an atmosphere that encourages bidding activity and keeps the attention of the participants. In between sales, Mark is one of Scotsman's main precious metals traders and purchaser of World and US coins. Cas Koziatek began working for Scotsman when he was just 13 years old. The grandson of former Scotsman owner, Robert Woodside, Cas was drawn to the hobby after hearing stories about his late grandfather's business from his mother. Cas was a quick study. By the time he was 14 years old, he already knew which coins came well struck, moderately struck, and weakly struck. By age 15, he could recite the better date coins for most US coin issues. By age 16, his grading accuracy was such that he could advise sellers if it would be advantageous for them to send a coin to be certified. 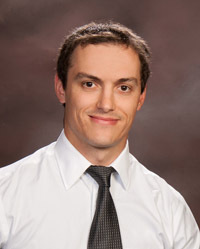 Now in his 30s, and armed with a degree in Business and Finance from the University of Missouri, Cas acts as one of Scotsman's main buyers, advisors, and graders. 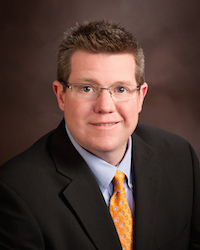 Clay Teague is always "in tune" with the coin and precious metals markets, and he gives a weekly report on the radio as an industry-expert guest on the popular "Money Talk" radio program heard on KTRS, 550 AM St. Louis. He is well schooled in all areas of U.S. numismatics and shares his knowledge daily with potential investors. Clay also serves as a numismatic instructor at many seminars. As a buyer, he is one of the best around, which is probably why he receives so many "Thank You" letters. 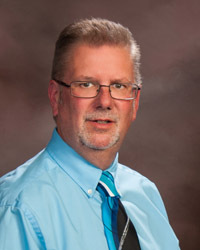 Sales representative is Andy Nugent's overall job title, however he is predominantly a "utility" employee with responsibilities that span the big picture at Scotsman Coin and Jewelry. 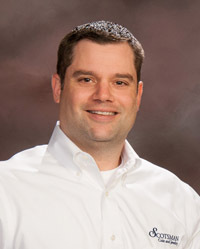 After compiling almost 10 years of corporate sales experience around the country, Andy moved back home to St. Louis in 2011, embracing an enjoyable new career with the Scotsman family. Discussing alternative bullion investing ideas (like using IRA funded accounts), photographing the auction catalog images and helping maintain the beautiful new shop, are just a few of the many things he enjoys about his day-to-day role. Andy's graduate degree in Organizational Communication from Missouri State University continues to add value, open communication and trust with the customers, dealers and clients that patronize the Scotsman. Add to that, a continuing expansion of his numismatic knowledge through ANA certified training, Andy looks forward to growing with Scotsman Coin and Jewelry for a long time. Dave has been a positive presence at Scotsman since his very first day on the job in 2005. While hired to assist buyers build their collections, Dave has since gained the knowledge and experience needed to be a top buyer -- grading skills, variety identification, and market values. In addition, he is one of Scotsman's main jewelry buyers. Jay "JL" Laws was the leading appraiser and purchaser of the renowned "Bank One Hoard," reported in the Saint Louis Post Dispatch as, "the largest (currency) hoard to come on the market..." JL has written numerous articles for the GREEN SHEET, the market guide on currency pricing, and he has done extensive research on National Bank Note rarities. He is a graduate of Missouri State University with a degree in History and a member of the Professional Currency Dealers Association, Society of Paper Money Collectors, ANA, SLNA, CSNS, and FUN. A collector of coins since childhood, Frank was already familiar with identifying rarities in most U.S. coin series before working at Scotsman. It was that numismatic knowledge that impressed the owners of Scotsman when their paths crossed. Frank had been working in Special Education, and had been assigned to work with the owners’ youngest son. They were so impressed with Frank’s work ethic that when they learned he was looking for a new career path, they offered him a position at Scotsman. 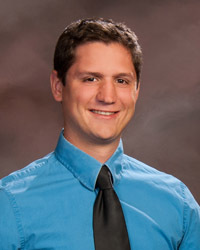 Mr. Jaromack was a 2013 graduate of the American Numismatic Association’s School of Numismatics where he received straight A’s in courses that ranged from counterfeit detection to the modern coin minting process. 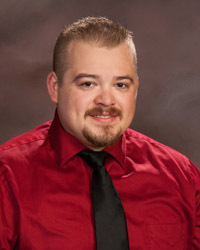 He was accepted to the American Numismatic Association’s Summer Seminar in Colorado Springs, Colorado in 2014 and competed in a coin grading competition. His group achieved the highest scores in the course. At Scotsman, Mr. Jaromack appraises coin collections of all sizes, provides grading opinions, researches market prices, identifies conditional rarities, and works with both wholesale and retail clients. 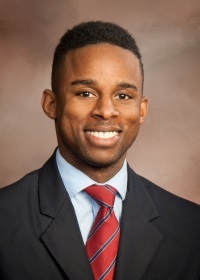 A 2012 graduate of Bellarmine University with a degree in Business Administration and Communications, Mr. Beckles began his education in numismatics by enrolling in the American Numismatic Associations School of Numismatics. He completed courses on counterfeit detection, grading U.S. coins, the modern minting process, U.S. minting errors and varieties, and grading coins today. Jordan is active in helping Scotsman customers obtain precious metals. He also conducts appraisals, monitors our position in classic silver dollars, helps process and valuate Scotsman’s purchases, and researches trends in the coin market in order to maximize Scotsman’s buy offers. Bob Brandt, a 30+ year veteran of Scotsman, is knowledgeable in all areas of U.S. Coinage. This allows him to buy entire collections, including everything from $100,000.00 rarities to modern issues. He represents Scotsman at many of the major coin shows, and his opinion of coin values are often sought out by collectors and dealers alike. Bob is the manager of Scotsman Estate Buyers and, with his wife Lisa and other members of the Scotsman team, he travels across the Country to Scotsman sponsored buying events. John Woodside, a graduate of the intensive hands-on ANA Advanced Coin Grading course, is a life member of many national numismatic organizations. 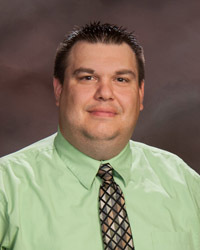 A graduate with a degree in business from Missouri State University, John joined his father in 2001 and is now the third generation Woodside managing Scotsman. With his education and experience, John possesses the knowledge to evaluate and purchase U.S. coin collections of any extant. What’s more, John served as Corresponding Secretary for the Missouri Numismatic Society. He also served as an intern for the Missouri State House of Representatives, where he successfully helped to lobby to exempt coins and precious metals from sales tax. He was also the recipient of the Silver Dollar Roundtable President’s Award for his leading role in resurrecting Missouri coin shows. John “Jay” Woodside began collecting coins at the age of seven and has actively traded in numismatics since 1977 with his father, Robert Woodside. Five years later, Robert passed away and Jay, then 26, purchased Scotsman from Robert’s two partners. Today, Jay is considered a leading authority in U.S. coins; specializing in authentication, grading, and evaluation. His extensive knowledge has earned him the respect of his peers, and many of today's top numismatists credit their own success to Jay's tutelage. Editors for all the major numismatic publications frequently assign their staff writers to interview him for his knowledge and opinions on important industry issues. 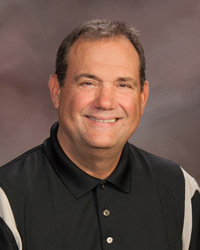 He is a member of the ANA (American Numismatic Association), PNG (Professional Numismatic Guild), PCGS (Professional Coin Grading Service), NGC (Numismatic Guaranty Corporation), SLNA (Saint Louis Numismatic Society), MNS (Missouri Numismatic Society), CSNS (Central States Numismatic Society), FUN (Florida United Numismatists), and several other reputable organizations.